The SUN1 Beaufort West hotel offers convenient and modern accommodation for travellers on a budget. Enjoy secure free parking, free WiFi and bottomless coffee in our public area during your stay at the SUN1 Beaufort West. Our hotel in Beaufort West invites guests to enjoy a good night’s rest near the Karoo National Park in South Africa’s Western Cape. Welcome to Cape Town. As you know we are currently experiencing a drought. However, Tsogo Sun has made arrangements to have water available for our guests through alternative water augmentation such as boreholes and by installing a desalination plant. This will enable us to take some of our largest properties off the water grid and support the City of Cape Town. When visiting the Mother City, please be water wise and we encourage you to think like a local. Enjoy your stay with us. For more information, please click here. 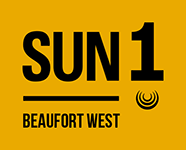 Please note that SUN1 Beaufort West has not been refurbished and therefore the room and product offering differs from other SUN1 properties. SUN1 Beaufort West has 52 hotel rooms with an extra length queen sized and separate bunk bed is ideal for adults or kids sharing. Guests can enjoy a good night’s rest in a warm, comfortable bed.